The next 10 years will see the UK’s rail industry radically transformed with a large scale investment boom with total investment across the UK’s rail network being the biggest for over a century with a current commitment of £88 billion. This level of investment is expected to provide significant commercial opportunities for both existing and new suppliers to the rail supply sector. A strong rail supply sector is critical to the government’s plans for a modern rail system whether high speed, conventional, freight, metro or light rail and essential to unlock economic growth and new jobs, as well as connecting communities and enabling them to develop and grow. Delivering this world class railway will require a growing, productive, innovative and responsive UK based rail supply sector. To help such businesses it is essential that suppliers of all sizes and types have access to affordable finance in order to develop their capabilities and improve their productivity and competiveness to help to deliver this railway of the future. Finance Birmingham is pleased to be able to respond to this challenge by launching in February 2016 a dynamic and dedicated funding product – the Rail Supply Growth Fund. The Fund will provide access to affordable finance to increase the capability, competiveness and productivity of businesses either currently operating in the rail supply sector or for businesses aiming to enter it through crossover products and services. 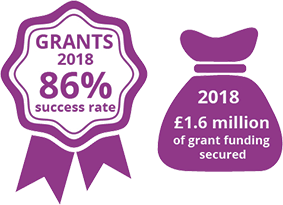 The Fund provides an innovative and flexible loan facility to enable applicant companies to grasp opportunities for growth by enabling them to significantly increase their productivity, capability and competiveness being better able to tackle the demands of the future that would otherwise not be achievable.